Midlothian Orthodontist | Don't Skip the Floss! Orthodontist in Midlothian | Don’t Skip the Floss! Use a floss threader. A floss threader is an inexpensive tool similar to a large, plastic needle that allow you to pull the floss through your teeth above the wire. This allows you to floss between your teeth at the gum line, which is important to maintaining healthy gums. Floss threaders are meant to be disposable, so use a new one each time you floss. Use waxed floss or dental tape. Waxed floss and dental tape slip between teeth easier than unwaxed floss, making it less likely that you will damage your wires. They also are less likely to shred and leave pieces of floss stuck behind. Use the right amount of floss. Too much or too little can make flossing more difficult. We recommend using 12-18 inches of floss. Help younger children with flossing. Flossing successfully, especially with braces, requires manual dexterity. 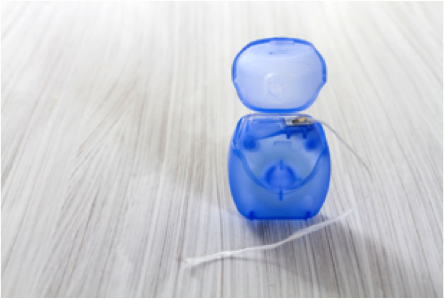 Young children may not be capable of flossing on their own. Keeping good oral hygiene habits while wearing braces will help ensure that when your braces come off, you will have the beautiful smile you’ve always wanted. Please contact our office if you need additional information or to schedule an appointment.